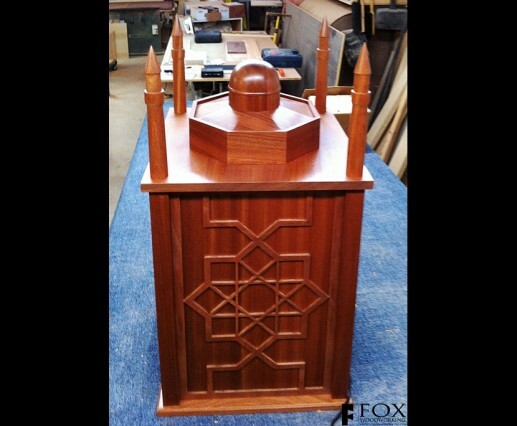 This is a side view of a sapele Koran holder. Here you can see the geometric scroll work typical of Islamic art. 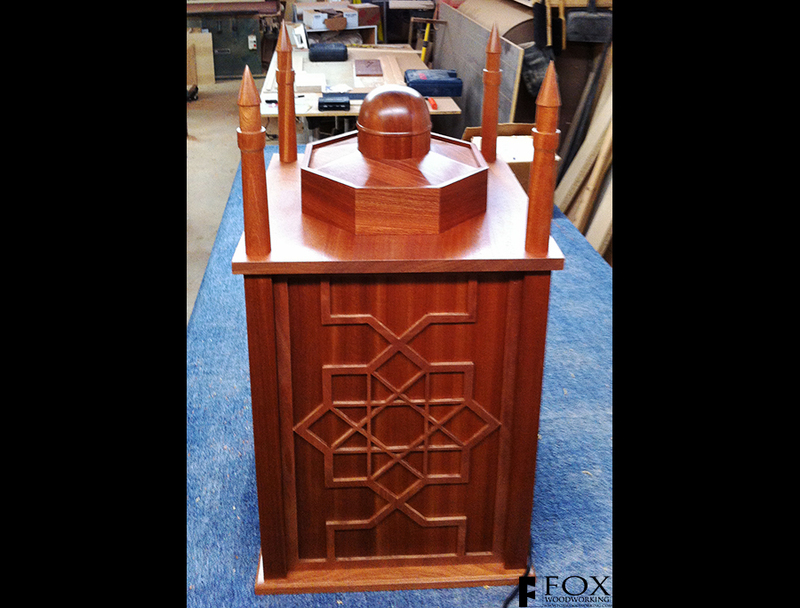 On top of the case is a representation of the Dome of the Rock on the Temple Mount in Jerusalem. At the four corners are minarets evocative of Islamic mosques. 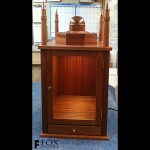 The entire cabinet was finished with a formaldehyde free, water based finish. Click here to see the front view and a full description.